Since becoming a dedicated wedding venue in 2013, we’ve had the pleasure of meeting several hundred wonderful and unique couples and the privilege of hosting nearly 200 of their weddings and celebrations. While each of their stories is unique, occasionally we come across a couple with a particularly memorable story. Kelsey and Jay were one of those couples. When we first met Kelsey and her mother we instantly saw their energy, not to mention their nearly matching fiery red hair. As we began their tour of Hardy Farm, Kelsey interrupted and somewhat abruptly announced that she had a strict budget and probably really couldn’t afford Hardy Farm but she loved our aesthetic and hoped to find a way to incorporate Hardy Farm into her wedding plans. She also let us know that she budgeted her time with us that day and was on a strict schedule, planning to tour other venues later in the day. “Being the type-A planner that I am, I wasted no time getting to work on researching venues the minute we arrived back home. There was nothing better than the task of wedding planning to ward off the post-White Mountain blues (it never gets easier leaving my favorite place on earth), especially when you knew your wedding was destined to take place there. It didn’t take long for the color-coded spreadsheets to come out. I spent hours and days scouring local wedding Facebook groups and Googling for barn-type venues, as I was in love with this new trend and felt it fit the “forest/mountain” wedding vibe I was going for. Emails requesting pricing packages were sent and returned, many attached with unrealistic numbers and fleeting hope that I would ever be able to afford something worth remembering. 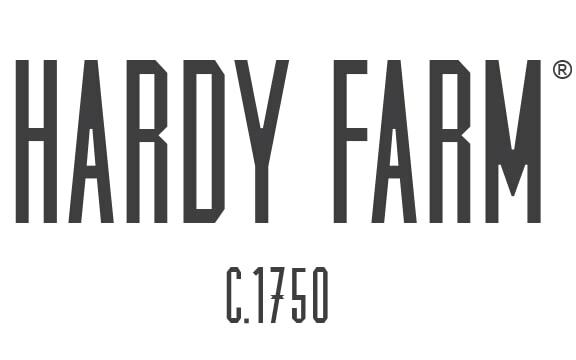 Amidst my disappointment, a place called “Hardy Farm” showed up in my search results; a hidden gem of barn wedding venues, nestled just mere minutes from the White Mountains inFryeburg, Maine. Without even a second thought, I added the address to our list of New Hampshire and Maine venues my mom and I later set out to tour. We had been to two venues prior to arriving at Hardy Farm, with another venue booked later in the day. Chances for that tour, however, were slim as we pulled into Hardy Farm’s snow-covered parking lot, met with the most charming, forest-dwelling house – I was already in love. It took me all of 10 seconds after stepping into the white-washed reclaimed barn to lose every bit of rational thought I had and ask where the dotted line I could sign was. “As of today, I am exactly one month out from our mountain and forest themed wedding at Hardy Farm, and will no longer have a purpose in life after it’s over. Wedding planning has been a dream, especially with a venue like Hardy Farm. In addition to being affordable, Hardy Farm also remained very hands off when it came to planning the rest of my wedding – if you’re a savvy, crazy coupon lady like I am, this will typically work in your favor. Allowing us to bring in all of our own vendors meant I was able to shop around and get the best price or deal I could find instead of getting stuck with a required vendor charging non-negotiable prices with minimums. Their alcohol policy is also a massive money saver. I was able to provide and serve all of our own alcohol without the need to hire/tip bartender, provided I purchased the very reasonable, required wedding insurance that covers host-liquor liability. This gives me free reign to once again shop around for sales/deals on alcohol, allows guests to serve themselves without ever having to open their wallets, and ensure our wedding is one to remember for years to come. “With less than 30 days to go before the big day, my experience with Hardy Farm has been nothing but a positive one. Deborah and Greg were extremely responsive, there to answer any questions and provide me with tools and info I needed during my 1.5 years of planning this wedding.